The latest official statistics show that 5.7 million families, with 9.2 million children between them, were receiving tax credits as of the end of 2011. However the already very complicated system is going to change again in April 2012. Overall this will usher in a second round of tax credits cuts, though not everyone will lose out. Tax credits reflect individual circumstances, so the picture is very complex and it is difficult to categorise who will lose, and also who will gain despite the cuts. By and large, those responsible for children should gain, or at least lose no more than a few hundred pounds at the upper end of the income range. Those paying childcare costs might gain even at higher income levels. The pinch is more likely to be felt by certain couples working part time, or some older workers returning to work after being on benefits - and by anyone whose income falls during the course of 2012-13. 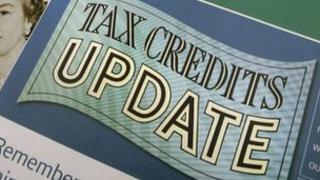 The basic element of working tax credit (WTC) will remain at its 2011-12 levels. So will the extra sums given to people who work 30 or more hours a week, and to lone parents and couples. The additional amount paid to claimants aged 50 and over who are returning to the job market after a period on certain benefits - the "50-plus element" - will be abolished, even for those who are already receiving it. Perhaps the biggest change will be that couples with children will have to work 24 hours a week between them, not 16, in order to qualify for working tax credit. One member of the couple will have to work at least 16 hours a week. Note that this new rule will not affect lone parents. Indeed, the government sees this change as reducing the disparity between couples and lone parents by ensuring that at least one member of a couple is required to work the same minimum number of hours per week as must a lone parent. There are some important exceptions to the 24 hours rule. one partner works at least 16 hours a week and the other partner is "incapacitated", an in-patient in hospital, or in prison. A person is "incapacitated" if they are getting one of a list of sickness or disability benefits or pensions, or one of those benefits is being paid to their partner. It is not yet clear just how HMRC will operate the new rule. Its systems may not be able to identify couples who fall within one of the exceptions above, and those couples may have to come forward and tell HMRC. The element of Child Tax Credit (CTC) which can be claimed for each individual child will increase from April 2012 by nearly 5.3%. Similarly generous increases apply to the amounts for disabled and severely disabled children. But the "first income threshold" at which the CTC begins to be withdrawn - by 41p for each £1 of income above the threshold - remains the same as in 2011-12, at an annual income of £15,860. This detracts slightly from the generosity of the increase in the child elements. In previous years, higher earners could continue receiving the full "family element" of CTC - £545 per annum - until their annual income reached the "second income threshold". This was £50,000 until last year, then it dipped to £40,000. For 2012-13 it will be removed altogether. This means that as soon as income reaches the point at which all other elements of tax credits have been withdrawn by the 41p in the pound taper, the family element will also start to be withdrawn at the same rate. Consequently, many households who were earning £40,000 or slightly more during 2011-12, and who still received at least some of the family element, will find themselves without tax credits in the coming year. However, those with larger families, or who spend a lot on formal childcare, could still be entitled to some payment. The key point is that the income cut-off for tax credits will be based on individual circumstances and therefore will be different for everyone. So families with children and/or paying for childcare can still gain in 2012-13, even if they are on comparatively higher incomes. Another controversial change will be the new "disregard" for falls in income. This means that if your income drops by no more than £2,500 from one year to the next, the fall is disregarded and your award does not rise. And if your income decreases by more than that amount, the first £2,500 of the fall is disregarded when assessing your new award. Take as an example Annie, a lone parent, who is paid £12,000 a year but loses her job in January 2013. She tells HMRC about her fall in income, and re-estimates her 2012-13 income at £9,000. Her revised award will be calculated as though her estimated income were £11,500, because the first £2,500 of the fall in her income will be disregarded. HMRC has always had the power to fix a disregard for falls in income, but this is the first time it will have used that power. The disregard for increases in income - within which the tax credits award remains the same and is not reduced - remains at £10,000 for one more year, then falls to £5,000 in 2013-14. Finally, when making an initial claim or notifying a change of circumstances that increases an award (such as the birth of a child or a material increase in childcare costs), from April 2012 claimants will only be able to backdate the increase in their entitlement by one month, not three months as hitherto. The opinions expressed are those of the author and are not held by the BBC unless specifically stated. The material is for general information only and does not constitute investment, tax, legal or other form of advice. You should not rely on this information to make (or refrain from making) any decisions. Links to external sites are for information only and do not constitute endorsement. Always obtain independent, professional advice for your own particular situation.